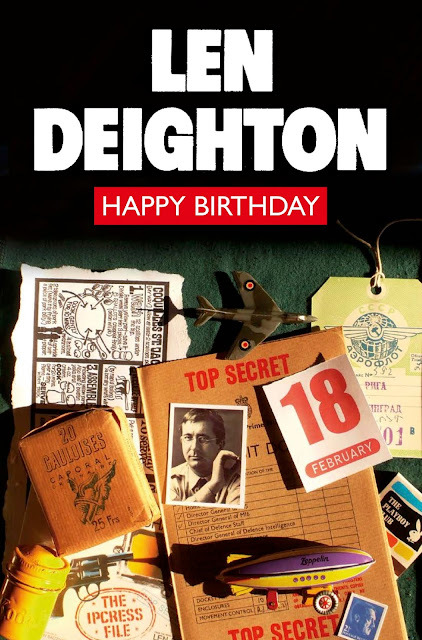 This is a blog about the books, film and world of British thriller and spy novel author Len Deighton, writer of The Ipcress File, Funeral in Berlin, SS-GB, Bomber, Berlin Game and many other books. This blog also covers the spy thriller genre and the Cold War more widely. 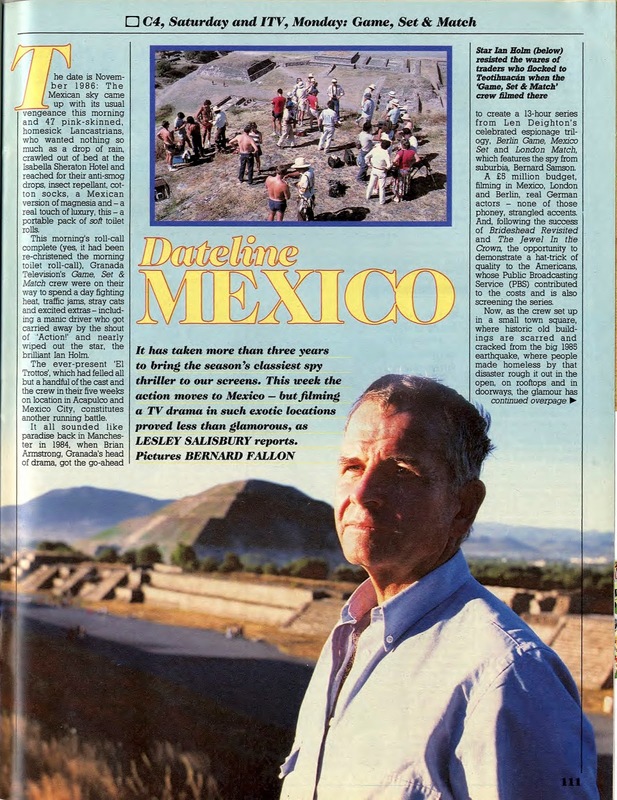 It is a companion website to the main Deighton Dossier archive (link on the right). It is the only website + blog endorsed by the author himself! Content (c) Rob Mallows 2008-18 unless otherwise stated. The main Deighton Dossier website has, over the years, become the most complete online repository for all things Deighton-related. But, like the painting of the Forth Bridge (until recently, anyway), it's never complete and an ongoing process. A couple of new items have been added to the Deighton Dossier. First is a gallery of TV Times images from around the broadcast of the Game, Set & Match TV series in 1988, plus a .pdf of an article in the same magazine publicising the series. In addition, the in the 'miscellany' section of the site, a full gallery of the contents of the Penguin Funeral in Berlin press kit from 1966 - one of the biggest publicity drives ever undertaken by the paperback publisher - has been added. This was support for a press trip to Berlin at the time the film was being filmed in the city with Michael Caine as Harry Palmer. Plus, a couple of small errors and gallery sizing issues have also been fixed. More items will be added in due course. Hope you find them of interest. (c) Rob Mallows 2008-2018. Simple theme. Powered by Blogger.